Parents' Night Out a Success! Thank you to everyone who helped with our Christmas Parents' Night Out! We were excited to host more than 60 children last Friday night. 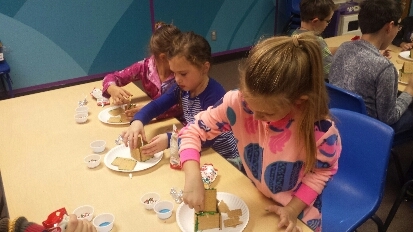 Children ages 6 weeks- fifth grade spent the evening engaging in Christmas themed crafts, games, and snacks while their parents spent the evening out. We are happy to provide a safe and fun evening for children in our community.